This album has been a pleasant discovery. I really appreciated the fact that in 2018, this five young guys gave us proof that there is still good Progressive Metal around. From the first track, "Prologue", is clear the wealth and the variety of the sound which started with the violin and then the electric guitar and the bass are flanked by beautiful effects from the keyboard. "One Step Forward" introduces the brilliant and sweet voice of the vocalist, (that I recall plays the violin in the whole work!). The lyrics have also a great importance in the album, which is a concept. Here the protagonist exposes his trouble and the fears he will face during the chess game, witty metaphor of life and its choices. The third track, " The Black Cave" is one of my favourite song in Metamorphosis. Definitely, is a short song, (less then two minutes), anyway the piano, the armony and the melody of the voice, have a strong impact to the listener, and in my case, gave me powerful emotions. After this brief reflection on himself, in "Desmoterion", (first single of the band), the prog soul gains the upper hand. In this song I loved the bridge between stanza and refrain, and I really liked the versatility in the numerous steps, managed to connect beautifully. The final solo, before the end of the song with the last refrain, is an amazing alternation of the guitar and the keyboard, and shows the skill, the technique, but also the musical taste of these great musicians. And then we arrive at the fifth track, "Nova". Here I feel to get out of balance, and to assert that this is an authentic masterpiece. The song is more accessible and catchy than the others, but it doesn't lose in genius and creativity. Rather the violin motif, the flut component, the whole track, expecially the filled and bright final, is powerful and do not forget easily. Very good also the title track, "Metamorphosis", one of the longest in the opera, and the more experimental and risky but fully successful. All the musicians here gave their best in the recording. In "Fleeting Throne", seventh track of the album, the element which I distinguished is the extraordinary wealth of ideas and the research of sounds from the keyboard player, (without taking anything away from the other components). Very good, indeed, also the folk bridge. "Onirikon", name that give perfectly the sense of the song, is another pearl. The presence of the bass here is essential and once again the voice of the singer arrives straight into our hearts. Direct refrain and masterfully thought. The last song, "Noctudromos" started with a hopeful and positive motif, a guitar harp where the woman starts singing again. The song is long, but with very slow passages, like the piano after the refrain, and then more pushed moments. Particular, the pad in the background during the instrumental part. Overall, a work of exquisite workmanship, and given the young age of the group members, I am convinced that the boys will make their way, It's only the beginning. 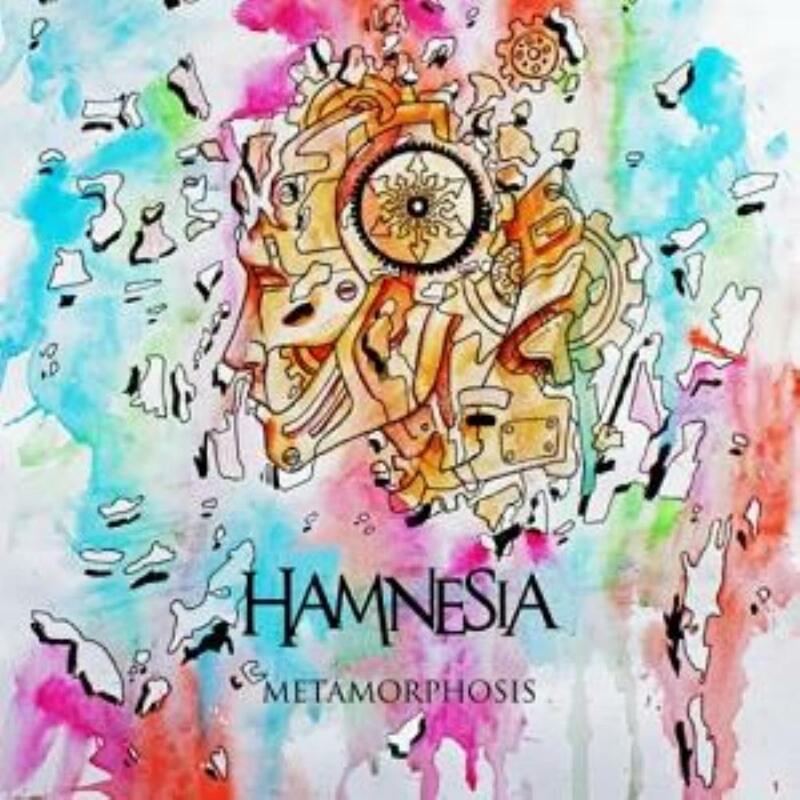 Hamnesia is the face of prog's future In Italy.